Finding time to read in the information age. Today you can travel around the world faster than it took Benjamin Franklin to get from New York to Philadelphia. Ah—technology. What a time-saver! But it has its drawbacks too. There are far too many distractions that waste all the time we should be saving with modern technology: television, movies, music, concerts, sports events, video games, the Internet. The average American reads half a book per year. That’s right. Not even one whole book! Education is more than a college degree. It is a life-long pursuit! As an adult, don’t be fooled into thinking everything worth reading should be read before graduation. And as a parent, don’t mortgage the future of your children by allowing them to waste their most critical years of development on trivialities. Create a reader-friendly environment in the home. To do so, here are a few helpful hints. Did you know that about half of U.S. households will not invest in one single book this year? It certainly is not for lack of spending power. In 2005, teens alone spent $159 billion. Not on books, but on snacks, concerts, clothes, video games, movies and cds mostly. Most people are just not interested in developing a library, because they think reading is boring. They don’t realize that developing a good library is like storing up fine gold. Robert Hutchins, former editor of Encyclopedia Britannica’s “Great Books” series, said that time is short, but education is long. We only have 25,000 days (on average) in this brief life. Some of us have already spent half or more of our allotted time. Ask yourself, What have I spent my time on reading thus far? Being a Trumpet reader already places you in a unique group: one that reads a magazine explaining the true meaning of world events. Beyond the Trumpet, what do you read? What sections of the newspaper do you spend most of your time on? And what about books? With only 86,400 seconds to work with daily, we do not have time for trash. French philosopher Ernest Dimnet once said, “Do not read good books—life is too short for that—only read the best.” He recommended a personal library of 20 or 30 volumes that you regularly study and refer to. What good is an extensive library that fills the shelf but not the mind? Study a work so that it becomes part of you. 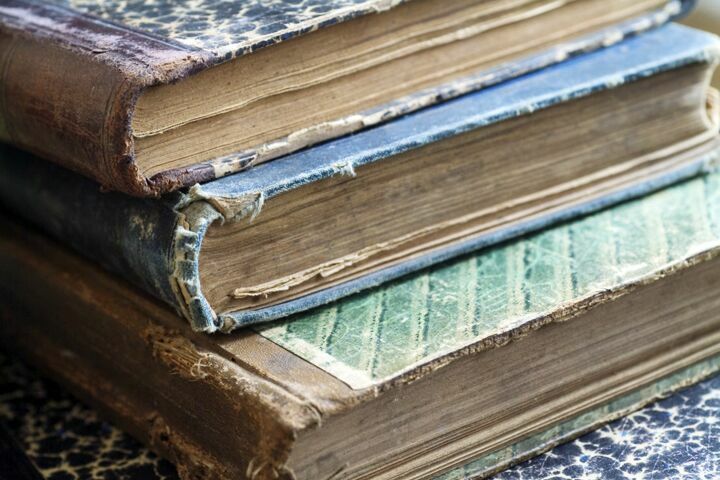 If your book’s cover is well-worn, its corners dog-eared and its pages marked like a test you failed in high school, that’s the surest sign that you not only got through the book—the book got through to you. The classics—the really deep things of life—will never be completely understood. That is why we can read, study and then repeat the process periodically, rethinking things through—feeling it all over again. Such study is like cracking a tough nut—you apply pressure to the softest spot. At least then you can get inside. Don’t worry about understanding every word, even if that is how you were taught to read in school. Pay attention instead to what you do understand—and if that’s only 30 percent of the work, that’s 30 percent more than you’d have understood by not reading it. Then, when you go through the work again, you will be more familiar with the material and will assuredly get more out of it. In 1 Thessalonians 4, the Apostle Paul encouraged families to develop a lifestyle of peace, quiet and productivity. That’s hard to do in today’s hurried, noisy society. But it is possible. In verse 10, he encourages us to “increase more and more.” Education never stops. Notice verses 11-12: “Also, endeavor to live quietly, attend to your own business, and—as we charged you—work with your hands, so that your life may be self-supporting” (Moffatt). That is not a boring lifestyle. It’s efficient and productive. And it allows for reading and studying. In a way, it’s hard not to be a little envious of Benjamin Franklin or Abraham Lincoln. They read and studied great works of literature, history and philosophy, not having to contend with as many time-wasters as we do. On the other hand, they weren’t able to benefit from the advancements of modern technology, which puts us in an enviable position too. In a way, we can experience the best of both worlds. We can use technology to do greater things in shorter periods of time—and then devote extra leisure time to do more reading.